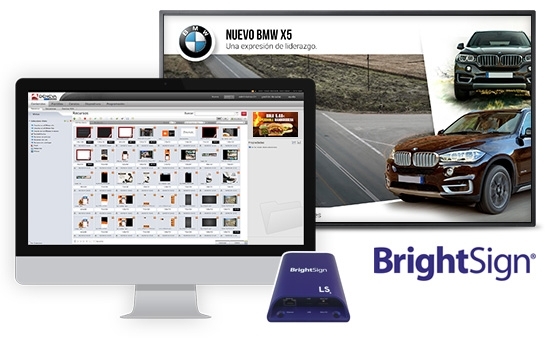 DENEVA already supports BrightSign Digital Signage media players. Our collaboration with BrightSign allows an easy, centrally and user-friendly management of LIMITLESS DISPLAY points using the DENEVA digital signage software. Full screen content display and multi-zone design support. Multi-resolution (landscape and portrait) support. Real time inclusion of video, images and social networks profiles.